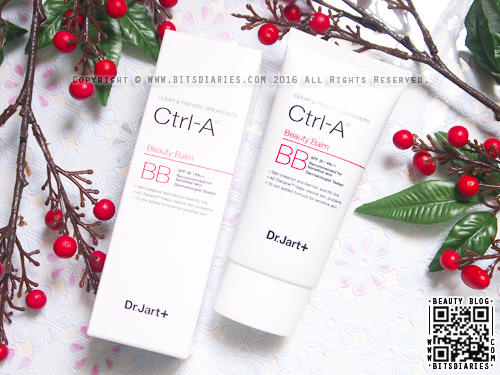 Dr. Jart+ Ctrl-A Beauty Balm is a dual functioning BB Cream with whitening and anti-wrinkle properties specially designed for sensitive and acne-prone skin. It claims to provide great coverage for redness, blemishes and large pores. The main ingredient of Dr. Jart+ Ctrl-A line is AC-Fensine that kills acne bacteria and strengthens skin's immune system, thereby clearing and preventing breakouts. It has SPF 30 PA++ that protects skin from the harmful UV rays and is formulated with a 10-FREE formula — Free of talc, parabens, alcohol, pigment, phthalate, mineral oil, benzophenone, petroleum, triethanolamine and fragrance. What's more, it is non-comedogenic that means it does not contain any ingredients that may potentially clog the pores and cause acne. 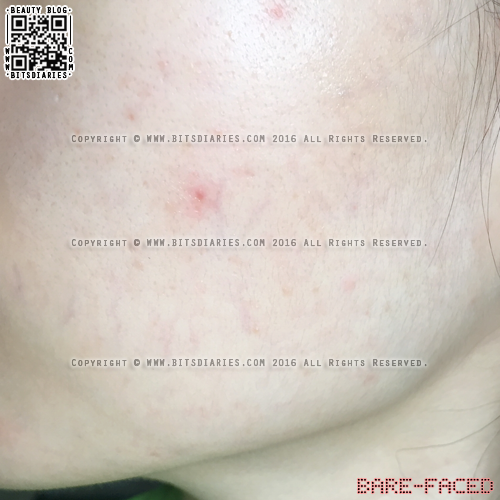 Dermatologist Tested~ Gentle for sensitive skin and safe for acne-prone skin! Dr Jart+ Ctrl-A Beauty Balm comes in a tube with a twist-off cap. The BB cream has a light watery texture that doesn't leave a sticky after-feel. Great to use in humid climate. By the way, it is available only in one shade, which I think it suits fair to light-medium skin tone. My advice is to control the amount of BB cream you apply because piling on too much will make you look white. 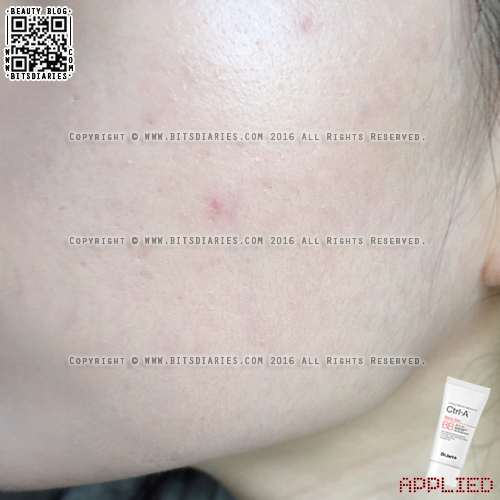 As you can tell from the pictures, it does neutralize redness however, it does not tone down intense redness completely. In terms of coverage, I would say it offers light to medium coverage. It does not cover dark blemishes and capillaries completely, but it makes them less visible. I usually use concealer on the spots that need extra coverage. Some side information...the concealer I'm currently using is the Ctrl-A Spot Cover, which is from the same line as this BB cream. I will write a review on the concealer soon, so if you are interested, keep an eye out for it! What I like about this BB cream is that it blends well into the skin, evens out skin tone, and blurs the appearance of large pores and blemishes, leaving skin looking smooth and natural. Best part? It doesn't cause my skin to breakout or cause any irritations. LOVE LOVE LOVE!!! On the downside, it does not help with oil control and it may accentuate dry patches. So I recommend to prep your skin with a good moisturizer and oil-control primer beforehand. 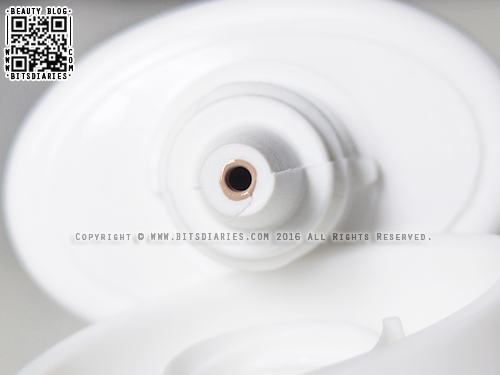 All in all, it does a decent job in concealing imperfections, giving a semi-matte and natural-looking finish. And most importantly, it doesn't make acne worse! I looooove it and I highly recommend to people with sensitive, acne-prone skin.